No matter how strong your PowerPoint skills are, the richness of today’s immersive qualitative projects is not fully captured in slides. Slides are too linear. The addition of high-resolution images (collages, journey maps, still photos), audio and video clips make for large files that are not easily shared. And we still need text, often lots of it, to present a nuanced analysis. I recently worked on two major journey-mapping projects for a client who asked for my best ideas about innovating the insights. I was delighted when they agreed to try having the major deliverable be a website that would house all of the multi-media files as well as the analysis and project artifacts. The final result delighted the client, and has led to some significant rethinking about how they conduct and report deep-dive qualitative research. The purpose of this article is to give you some insights into how to produce such a deliverable yourself. Let me start by telling you why I believe this type of reporting makes sense for qualitative. I strongly believe that qualitative insights can drive innovation and competitive advantage in an organization, but only when these insights are shared. Putting our work into a format that can be easily shared, is engaging and immersive, is a goal we should be pursuing as an industry. The impact of a collection of media and artifacts in a Dropbox-type of library will never have the impact of the curated storytelling we now create in PowerPoint and Word. 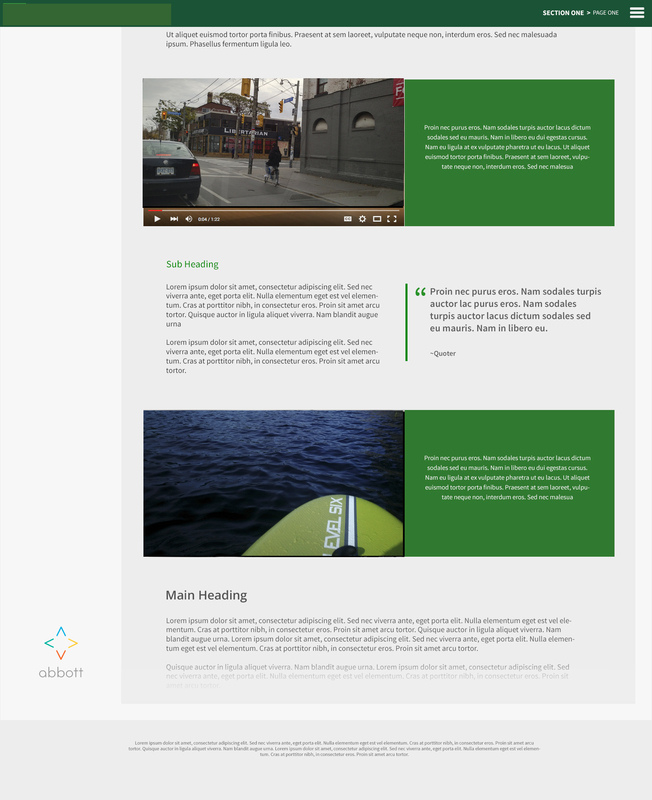 We want to build on this type of storytelling in new report forms. While clients may value an organized archive of media across multiple projects, this is a library, not a report. Insights gathering is near the start of the innovation process. It may be years – literally – before the customer experience, product or technology changes we recommend come to full fruition. This means that a great many people will work on the project who have not been involved in the insights process. The farther away from the insights the development team gets, the more likely they are to lose sight of the customer. An interactive archive that allows team members to browse the material, dipping into relevant videos, can help the team stay close to the insights. Digital experience designers who want granular detail about sequencing, irritants, and touch-points. We can plan web-based architectures that offer a pathway for each of these audiences, putting the user in control. You have multiple options for creating a web site deliverable. I chose to work with an established business relationship, the ISP that has created and hosted our websites (Snap360). 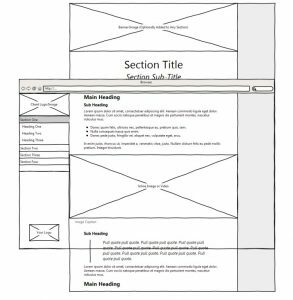 Writing a brief helped me clarify what I wanted, and gave the Snap360 team enough information to give me a proposal, a wireframe diagram (shown in Exhibit 1), costs and timelines. 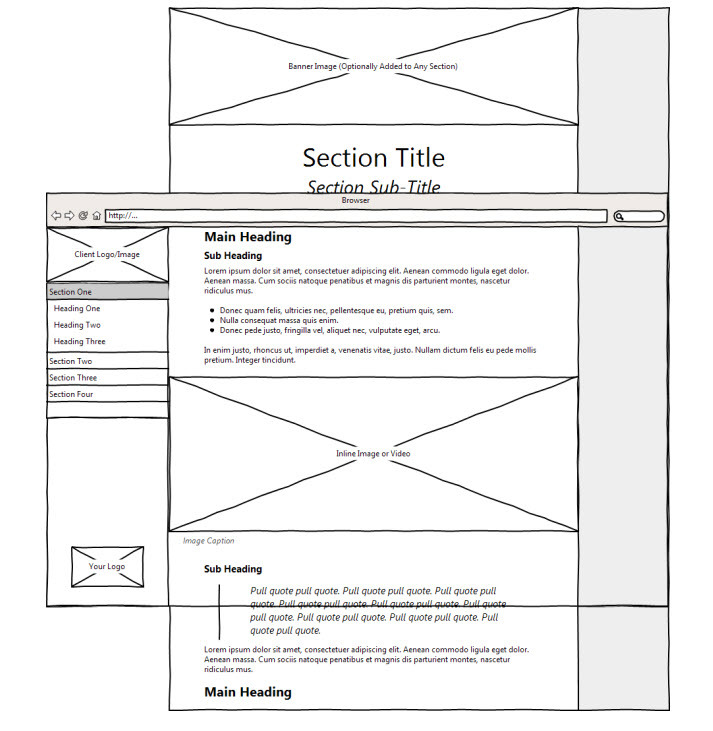 Once I gave them the go-ahead, they created a home page, navigation structure, and page templates (shown in Exhibit 2). These templates waited like a wedding dress, unused for several weeks while we were in field. Once the analysis was underway, I populated most of the pages with text and images myself. The designers also created some interactive features for the home page. No one can write the words for you or identify the themes in your report. But you could definitely have a web designer populate the site for you, using the words you have created. Many excellent tools are now available that make website creation relatively straightforward. You choose a provider, select a price plan, buy a domain, select page templates, and populate them with data and images. You can do this with WordPress, Weebly, Squarespace, PageCloud, or many other DIY tools. You will need to have a plan for hosting the site during creation of the finished product, and after it is done. Your client will want to see “report drafts,” and possibly suggest changes, so you will need to be able to grant them access with a login and password. A key decision is where the site will be hosted once the project is complete. You could roll the site up and put it on a portable hard drive. You could transfer all the files to the client so they can host the site themselves on an internal server. Or you can continue hosting the site for the client. You will want to decide whether or not to store a backup of the site, and determine if this is going to come with a cost. The more you use a bricolage or triangulation approach, the more elements of the workflow you need to manage. Adding a new element to the deliverables just adds more to the complexity of the work plan. The most challenging part of the workflow, from my perspective, is creating the video vignettes. For a discovery-oriented research project, you can easily generate more than a dozen themes, each of which you can illustrate with a short video. We treated French-Canadian clips the same way, but asked our partner Qualitative Research Consultant (QRC) to select clips that went along with our themes, and provide a translation that would be added as an overlay. We were fortunate to be working with a skilled video producer recommended by another QRC, who was able to work on tight timelines. Even so, close collaboration as the schedule evolves is important. The video producer needs to be considered part of the research team and brought into discussions before fieldwork starts. They need a clear vision of what the final product is to look like, and they need access to any brand graphics well in advance. The potential for clients to enter into the creative process with the report is very high with this approach. You will have to decide how much input to allow, and at what points of the process. Changes late in the project will be more complex, and potentially more costly than just re-organizing your slide deck. With so much confidential data on the internet, we wanted strong security, and elected to put the site on HTTPS, the secure site protocol. This created unexpected difficulties. Large corporate clients that manage personal data have very advanced firewalls. It may surprise you to know that these firewalls give far more scrutiny to a site that is HTTPS secured, than to one that is not. Consequently, our decision to put HTTPS security on the report site created a few access issues for the client that were not straightforward to resolve and far outside our knowledge base. We relied on our strong relationship with the ISP to see us through these challenges. With more people handling the data, especially the video, you need to be very confident of the standards in place at each step. Having the parties sign on to the right agreements is essential. There is little doubt that it is difficult, if not impossible, to prevent a determined hack. But many of us are comfortable using cloud-based file storage and backup. A web-based report is not that much different, even though it feels quite risky. Over time, we will learn to navigate these challenges. A purpose-built website may not be our final destination, but it offers wonderful possibilities for bringing the client into the customers’ world. Important contributions to this process were made by Korey Schaeffer, video producer, and Alnis Dickson of Snap360 Design. Creating Immersive Qualitative Reports originally was published in the Sprint 2018 edition of QRCA Views Magazine.